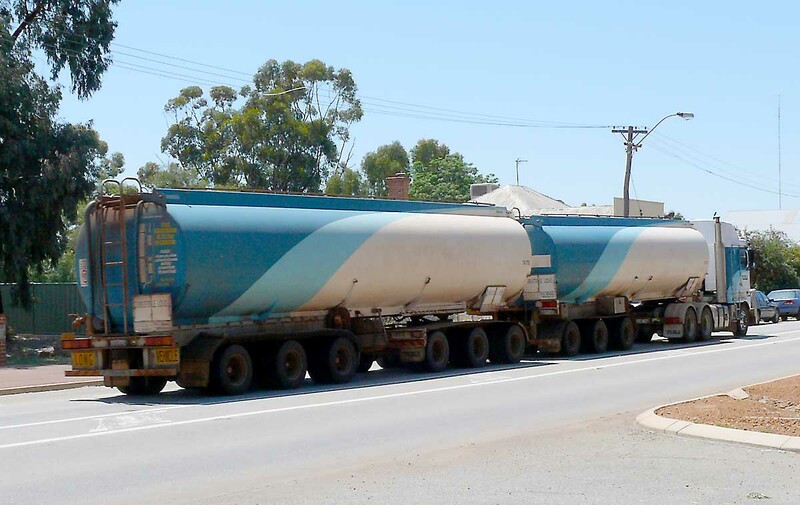 In the town of Albany in Western Australia is the home of HALL Transport. HALL is transporting goods for farmers. 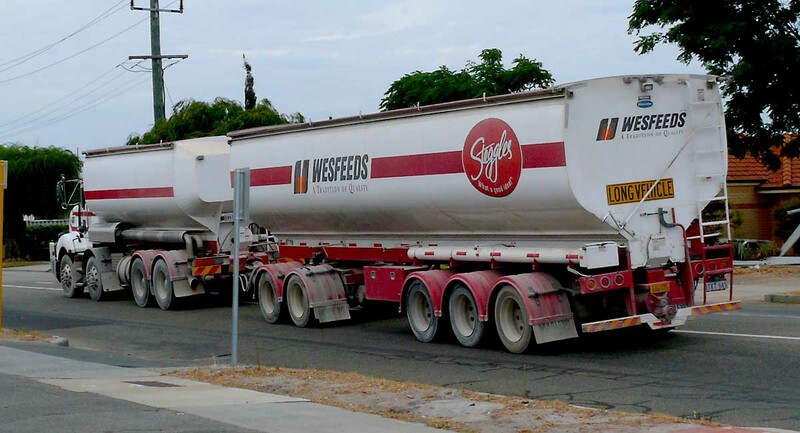 Peter Aschi got permission to enter the yard and take photos. 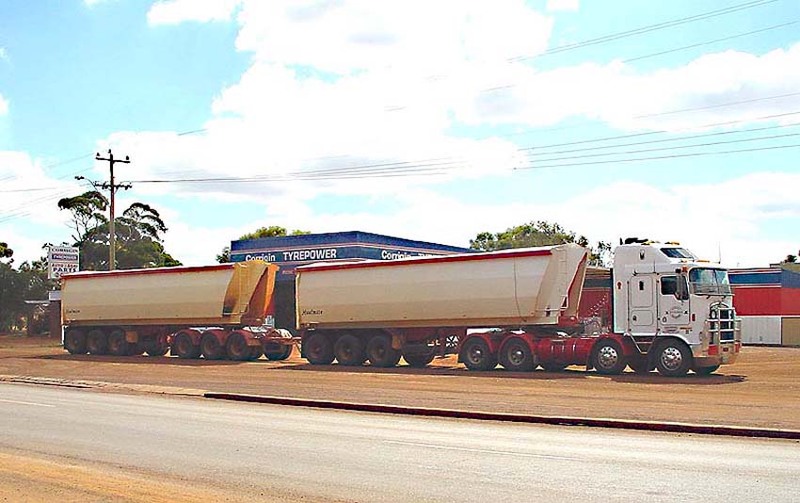 53 meter (over 150ft) long Road Trains, a stunning picture for every truck fan. 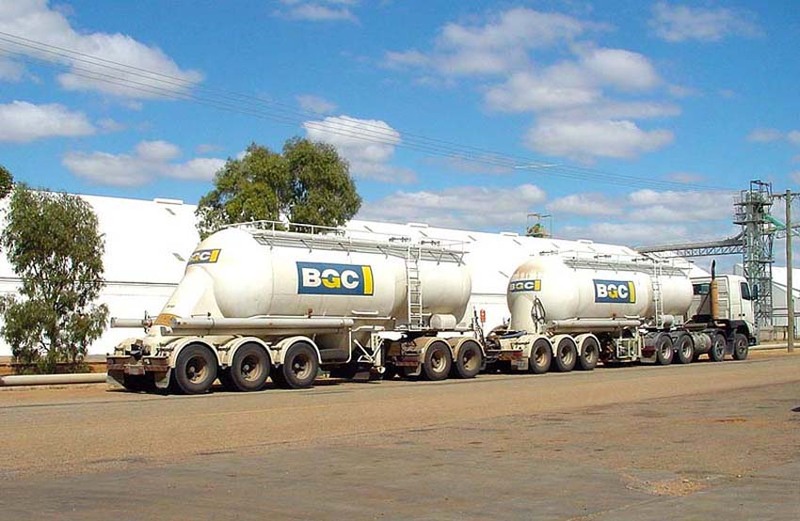 Aschi's Workshop has a number of plans for trucks and road trains. One day Aschi will make a replica plan for this beautis. 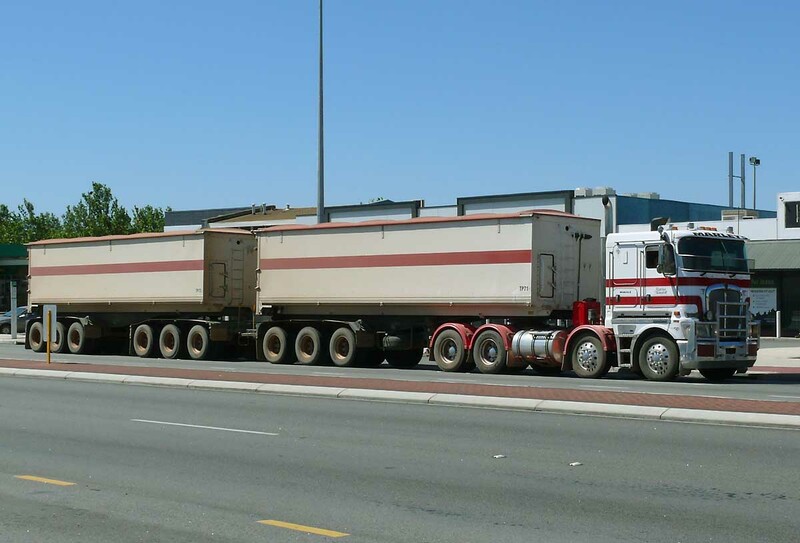 Kenworth twin steer truck and trailer. Photo by Peter Aschi: March 2014, Bentley, Perth, Western Australia. Aschi's Workshop is considering to make a plan / pattern of this rig for wooden toy model. Surly, it would be a stunning model in scale 1:27 or 1:20. 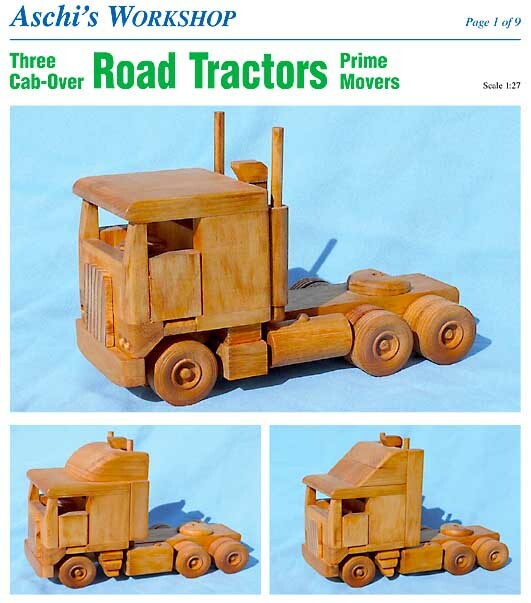 Aschi's Workshop has plans / patterns to make a wooden model from this Kenworth road tractor in scale 1:27. Right: the cover page from Aschi's Plan / Pattern #171. 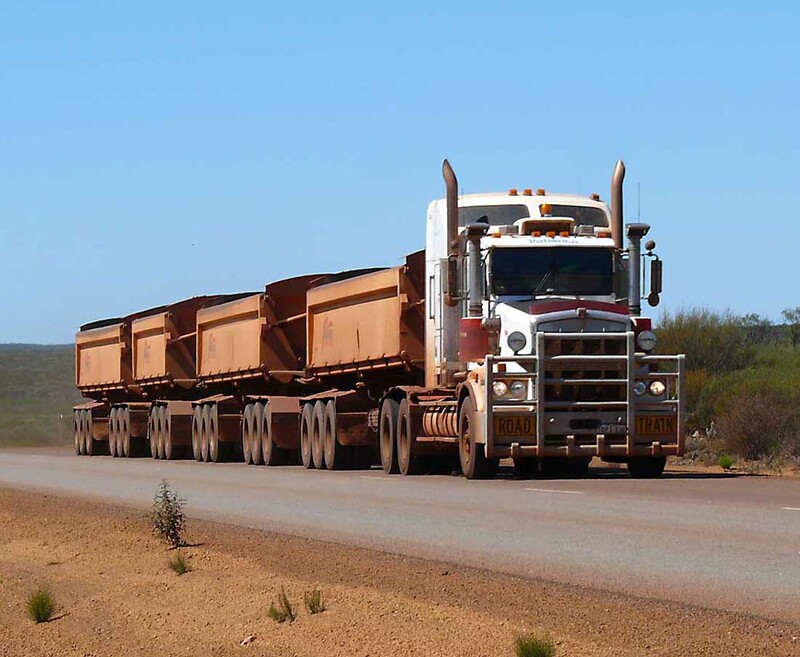 Iron Ore Road Train in Western Australia. 2013 82 wheels...carring over 200 tons... There Aschi got inspired for his Wooden Truck. 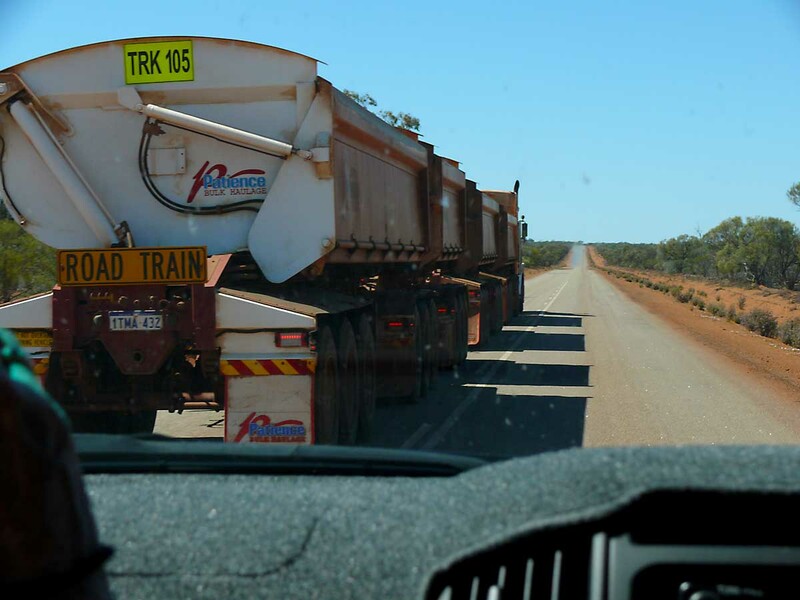 Photos: Peter Aschi, 2013 Is not easy to overtake this Road Train. A scale model in wood. Crafted by Peter Aschi. The plan / pattern is aviable from Aschi's Workshop.